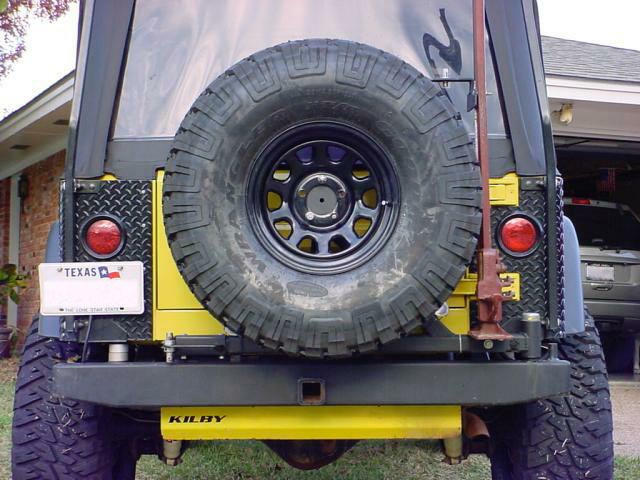 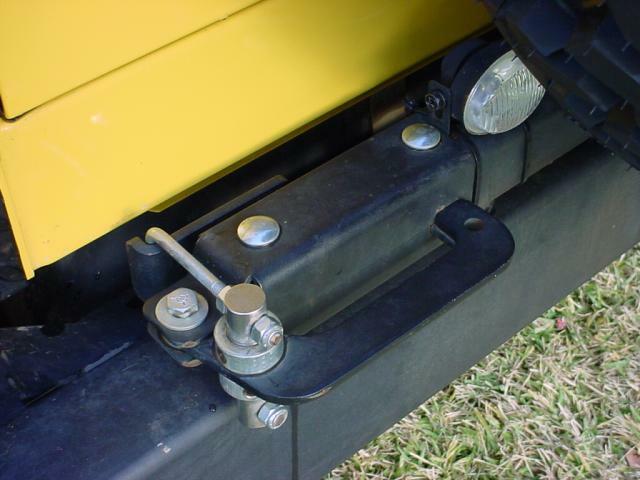 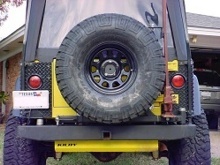 * shown with optional cargo rack, D-ring tabs, and Hi-Lift mount. 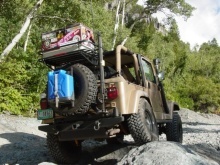 Check out the review on Jeepin.com. 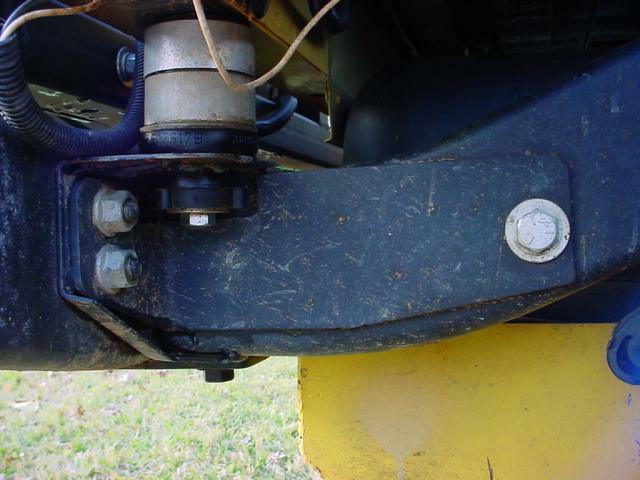 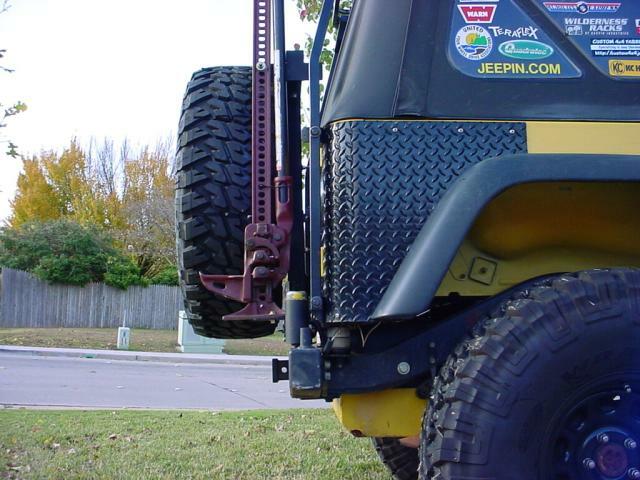 Built to the same standards as our front TJ/YJ bumper, this heavy-duty rear system features a built-in 2" receiver, frame tie-in plates, taper-bearing hinge, easy-to-use latch, tire carrier, and has an optional integrated Hi-lift mount. 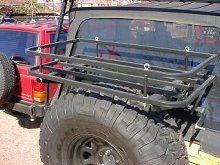 All parts are black powder coated. 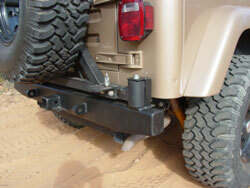 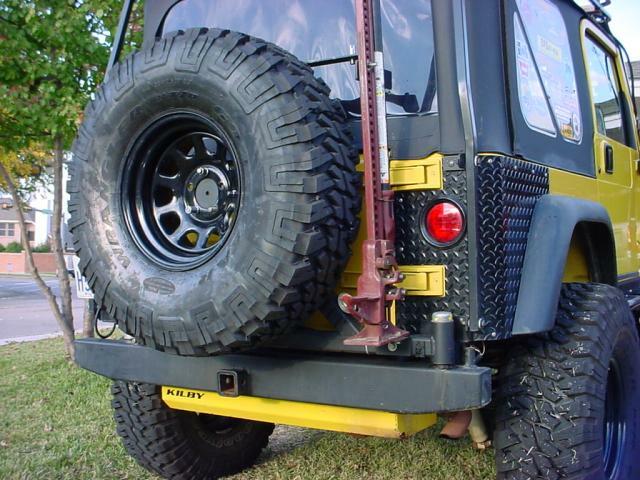 The tire carrier is rated for up to 35" tires.